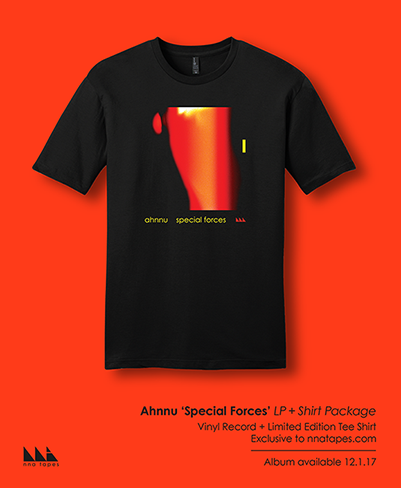 We’re excited to share today that Ahnnu‘s latest album ‘Special Forces’ is now available for listening in it’s entirety courtesy of Vice’s Noisey. 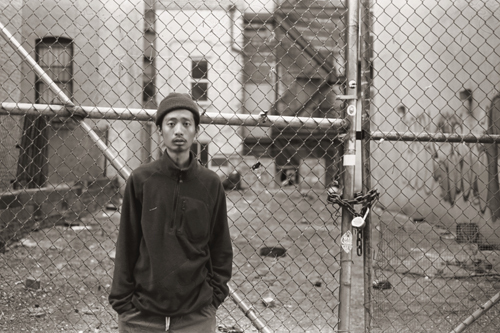 Accompanying the stream is an excellent write-up and interview with Leland Jackson courtesy of writer Colin Joyce, giving some deep insight into Jackson’s musical philosophies and creative practices. Listen & read here. ‘Special Forces’ is available everywhere TOMORROW, December 1st. Order now to secure a copy on limited edition Translucent Red w/ Black Splatter vinyl (moving quickly), or pick up the T-Shirt Package which comes with a limited edition t-shirt featuring the album’s cover art, available exclusively at nnatapes.com – check it out here via our Shop.